For some reason, it was decided that anything made from apples should be only enjoyed during the fall season. It’s true that apples harvest in the fall but many apple products can be enjoyed year’ round. 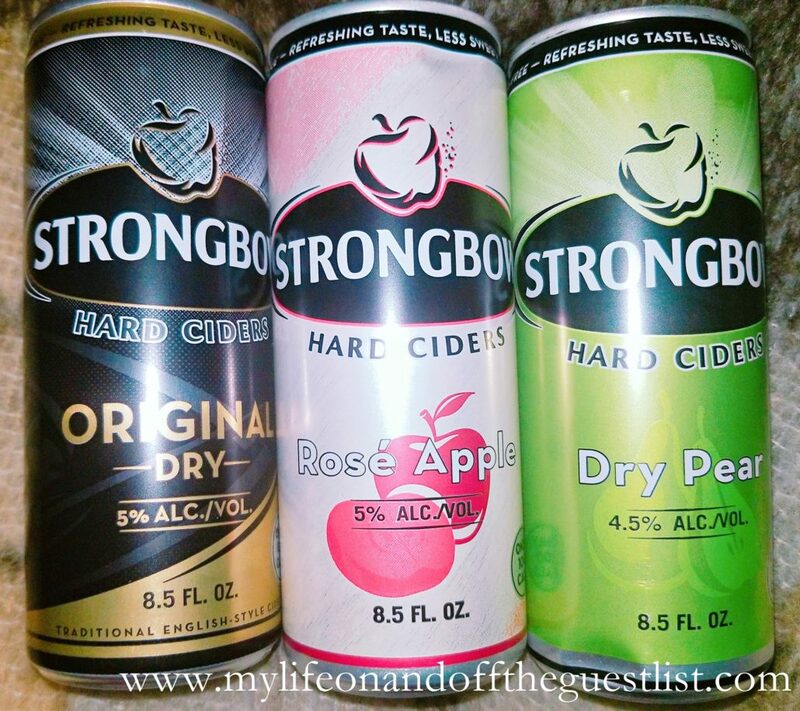 One of those products is the refreshingly delicious Strongbow Hard Ciders, the #1 global cider brand and #1 imported cider in the US. These easy-to-drink flavors are 100 calories each and offer a light, refreshing alternative to canned wine and hard seltzer. It’s a great way to cut the calories while still enjoying a delicious drink. We were lucky enough to try the above three flavors and were blown away by its deliciousness (and how quickly they disappeared). Don’t believe us? Strongbow was just named 2019 “Product of the Year” in the Alcoholic Beverage category by Product of the Year USA – the nation’s largest consumer-voted award for product innovation. 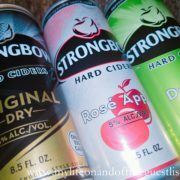 (NEW) Dry Pear – the newest flavor for Strongbow, this subtly-sweet pear-apple cider boasts a light, dry finish. It’s a great alternative to the traditional dry wines. You get the classic dryness with a subtle hint of natural sweetness from the apple. It will have you rethinking your traditional white wines. Rosé Apple – this semi-dry apple-pear cider features a touch of red-flesh apple. 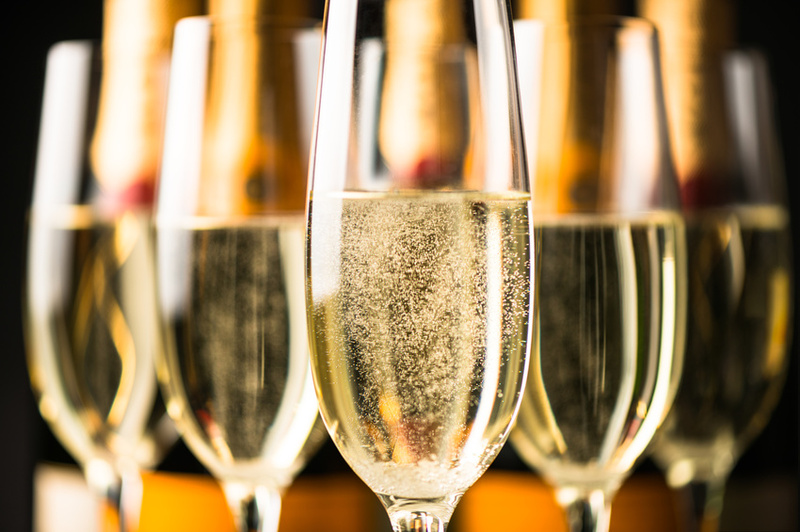 You’ll love its clear, light-coral pink appearance and sparkling rosé-wine-like effervescence with apple notes. 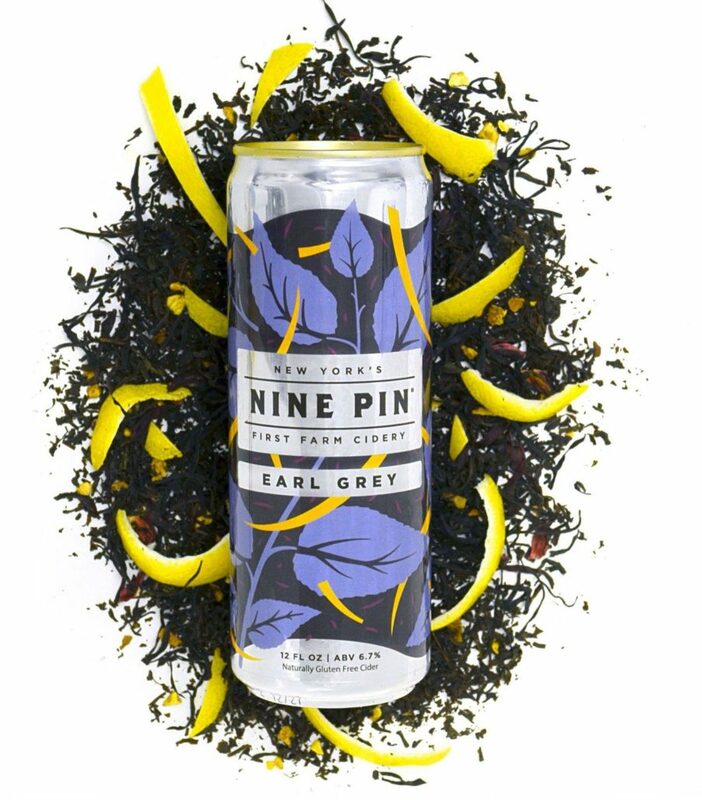 One sip and you’re gifted with a light and refreshing taste with a pleasant tartness balanced by fruity notes of the red-fleshed apple and pear. You’d better get yourself a few of these flavors because one can of this seraphic nectar was nowhere near enough. Original Dry – this recently-relaunched fan favorite, and England’s #1 Cider is exactly what you’d expect, a refreshingly dry finish. 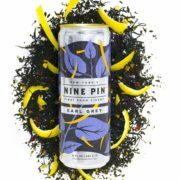 It features a distinctive golden color and boasts a less sweet taste, with a crisp apple flavor for a balanced, dry finish. 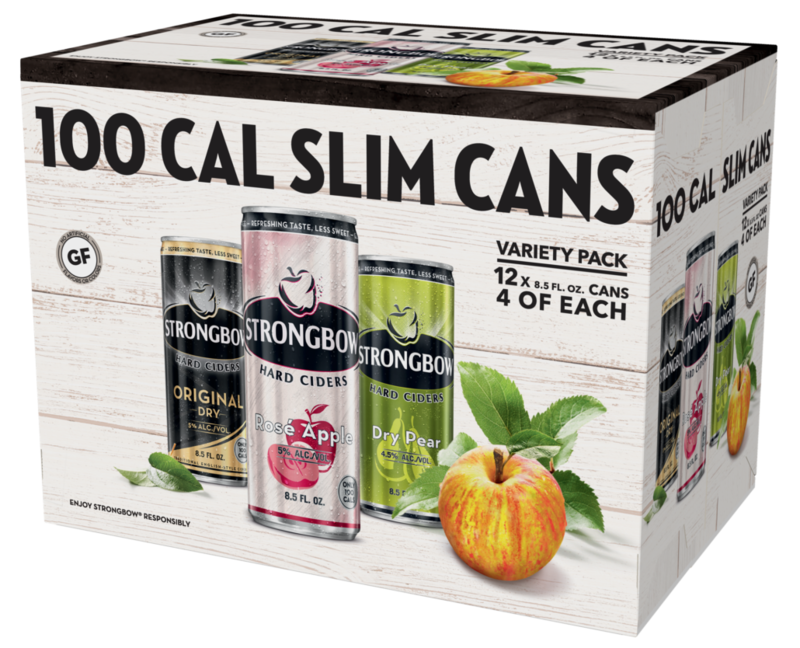 Available now, a 12-can variety pack of Strongbow Hard Ciders with three 8.5 oz. flavors retail for approximately $13.99. They are currently available in 79 countries in supermarkets or selected retailers, bars and venues. What do you guys think? 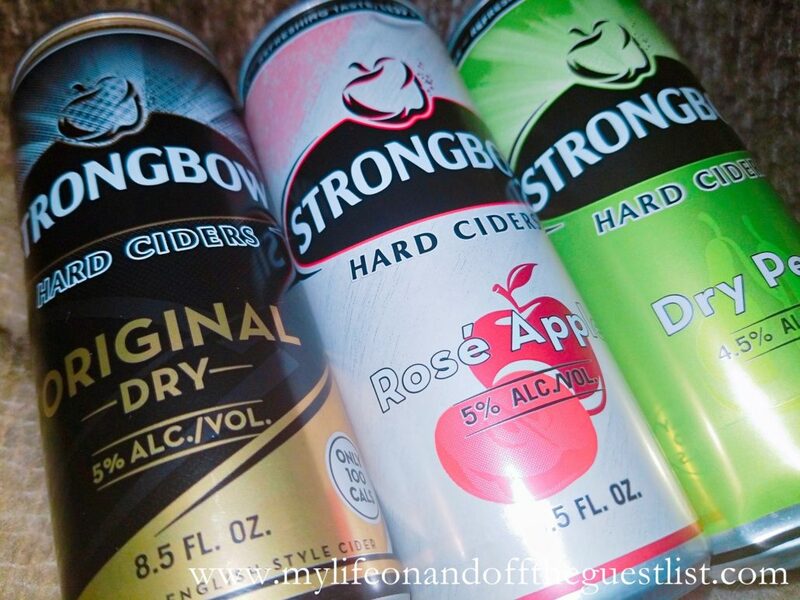 Are you up to giving Strongbow Hard Ciders a try? We promise you won’t regret it if you do. He may not play the King in Black Panther but Michael B. Jordan certainly inspires the title. 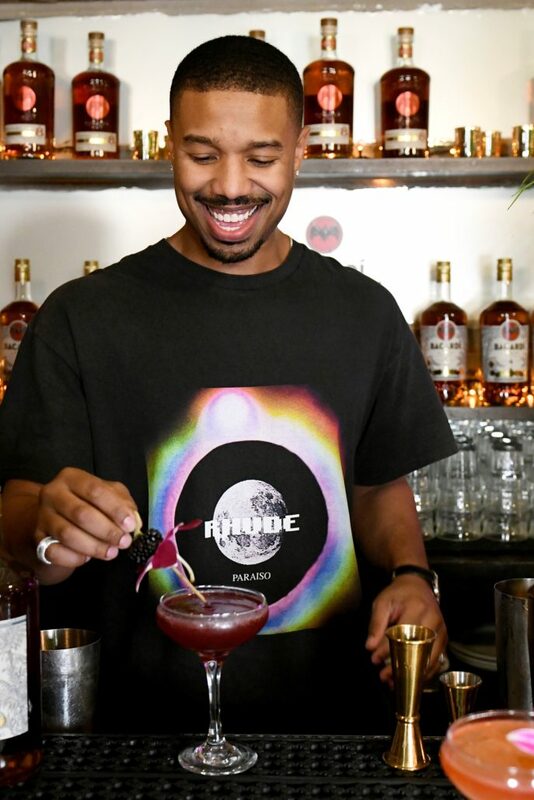 In honor of this year’s Academy Awards and Black Panther’s seven Oscar nominations, we present The King Cuatro cocktail from made with Bacardi Añejo Cuatro Rum. 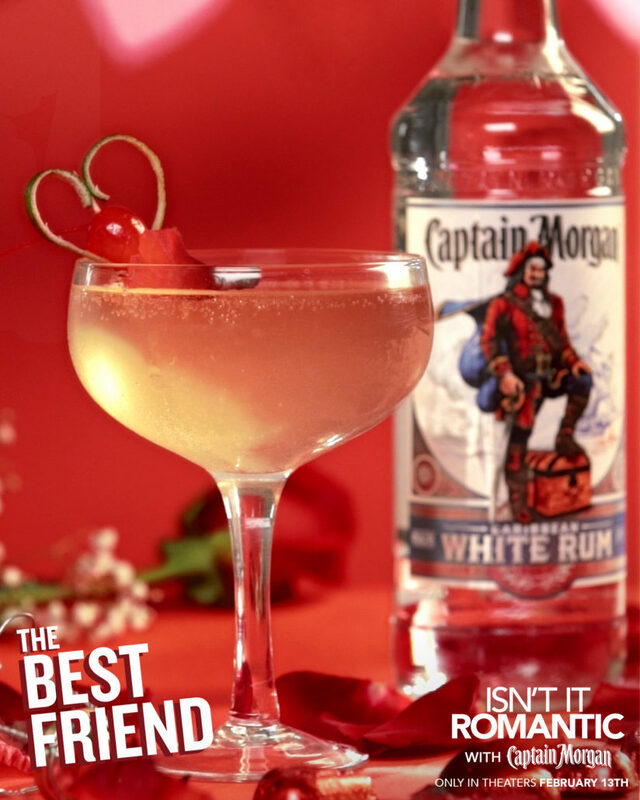 The rum cocktail was inspired by the Hollywood heartthrob who has captured our hearts (and our daydreams). The King Cuatro made its debut the Lower East Side’s newest rum bar, Las’ Lap. Just in time to celebrate with Black Panther, the first ever Superhero movie to get a Best Picture Oscar nod. Many may not know this but Michael is a huge rum fan. 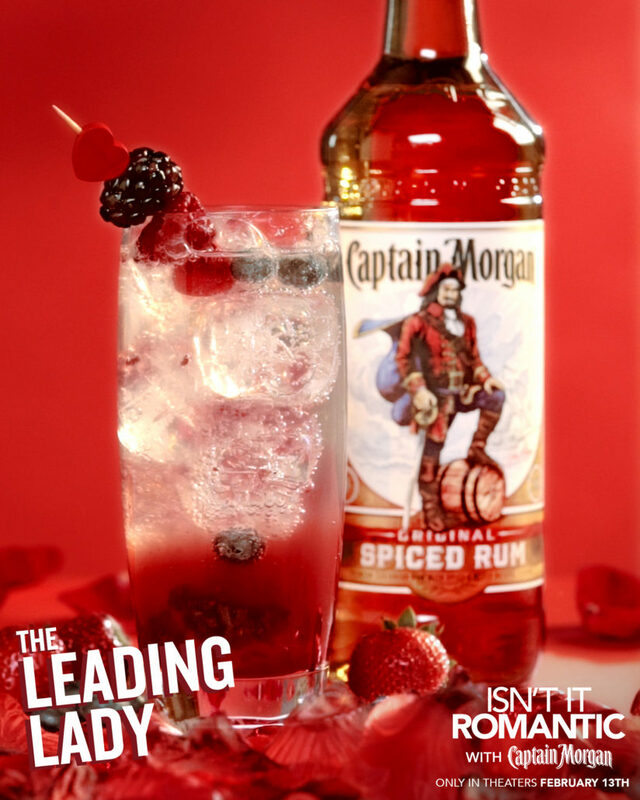 Like many, he grew up with his grandmother’s famous rum cakes made exclusively with Bacardi rum. 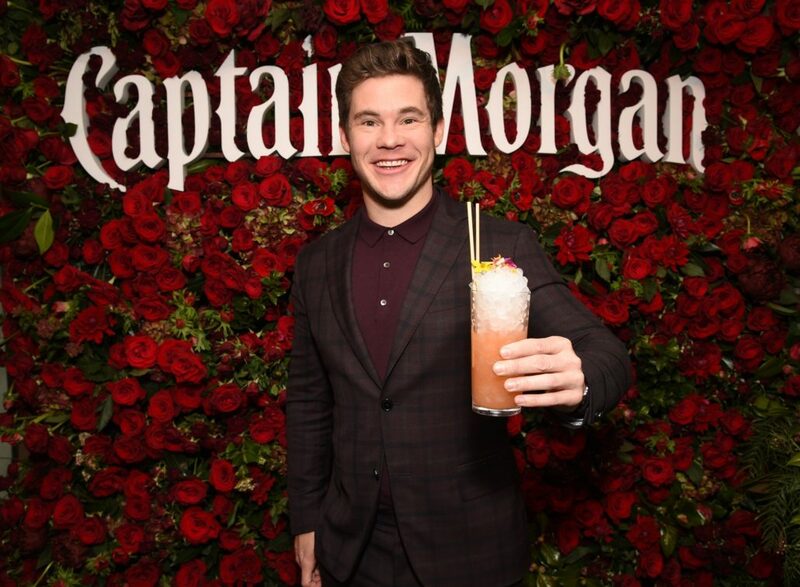 It’s only fitting that his signature cocktail contains Bacardi Añejo Cuatro. This premium rum is aged four years under the Caribbean sun with delicious notes of honey, vanilla and oak spices. The King Cuatro will be available exclusively on the Las’ Lap cocktail menu until March 14th. You can either visit Las’ Lap, to enjoy this delicious concoction or check out the recipe below to recreate it at home. Get better acquainted with The King Cuatro cocktail below. Muddle blackberries in a tin, and pour all cocktail ingredients in. Shake and strain into coupe glass. 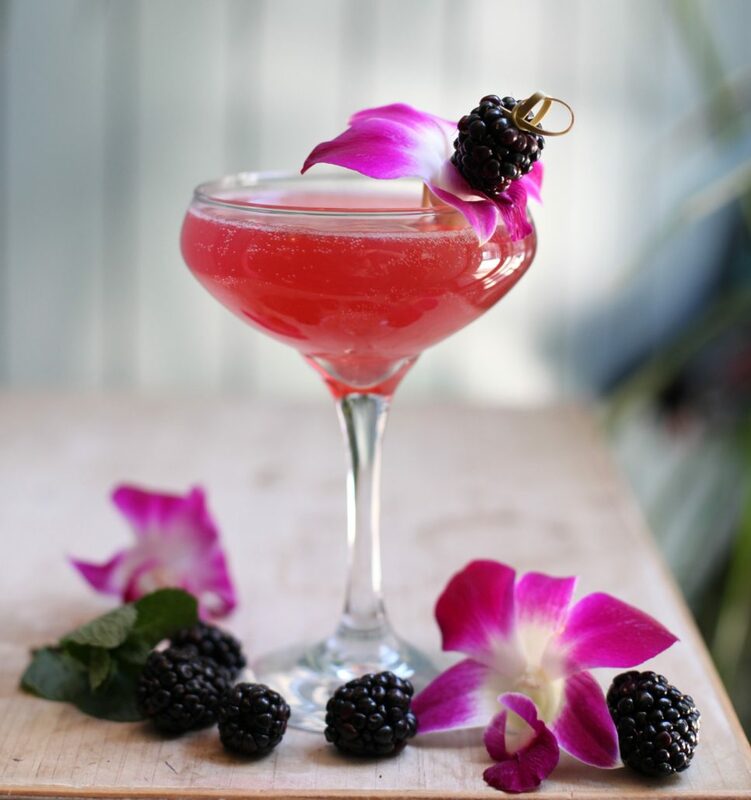 Top with Martini & Rossi Prosecco and garnish with a Blackberry-speared purple orchid. 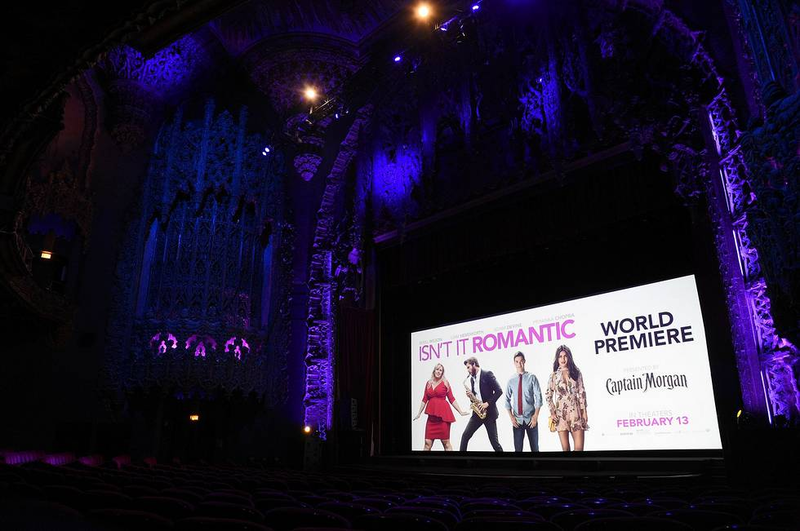 Will you be watching the Academy Awards this Sunday? 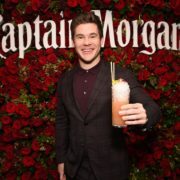 Are you ready to experience the regal The King Cuatro cocktail? Here’s to Black Panther winning most, if not all of their nominated categories. Ready for a new vodka that just hit the market? We know what you’re thinking, what makes this particular vodka so special? What makes it unique is it is distilled from apples. Before we continue, we must stress, Upstate is in no way, shape or form, an apple-flavored vodka. It is also not an apple infused vodka. 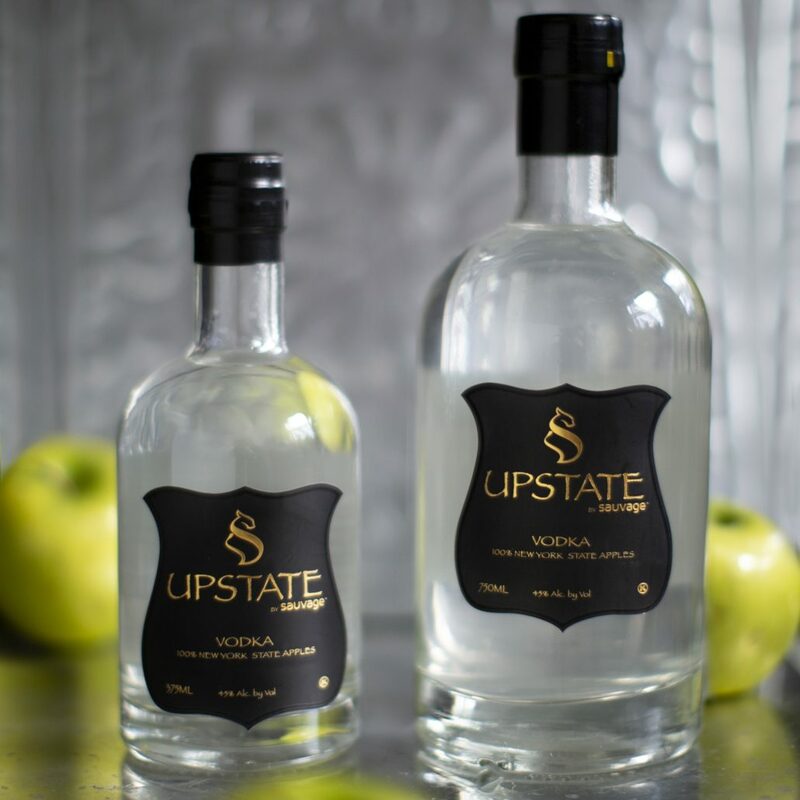 Upstate Vodka is a small batch, craft-distilled vodka made from apples. We know you’re used to vodkas made from potatoes or grains, but we promise you will love it. Raise a glass to this latest offering from Sauvage; already known for their popular Comsi Comsa range of apple-based wines. 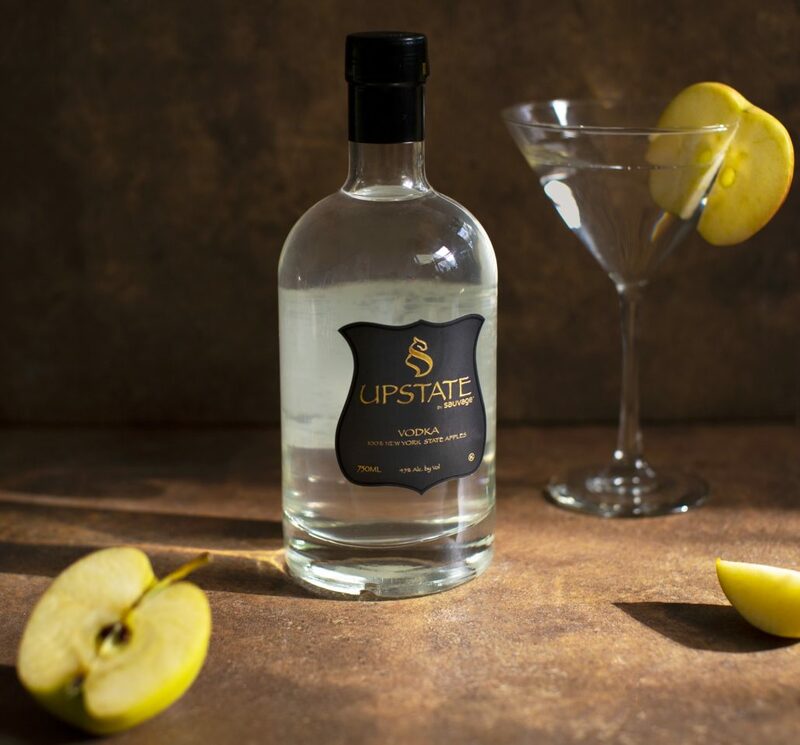 Upstate Vodka is a craft spirit produced in small, limited batches with high-quality standards. This handmade vodka is distilled and bottled at Sauvage Winery & Farm Distillery in New York, using natural ingredients and water that is known to be the cleanest. Shake all ingredients and strain over ice. 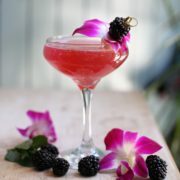 Garnish with orange twist and/or maraschino cherry. 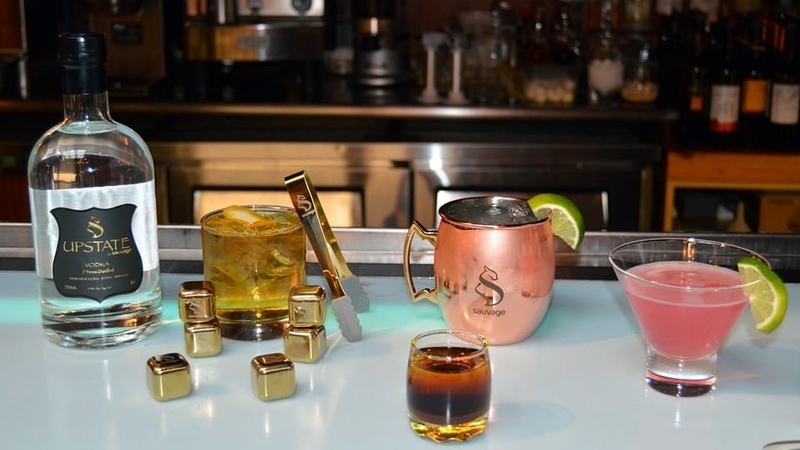 Shake vodka and lime juice and strain into a mule copper mug. Fill with ginger beer and garnish with lime wedge. Shake all ingredients and strain into a cocktail glass. Garnish with a lime slice. Pour the vodka, cinnamon schnapps, Comsi Comsa into a Double Shot glass, Layer a splash of Dark chocolate liqueur and Jagermeister on top. 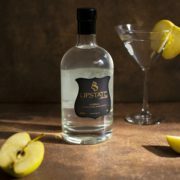 Upstate vodka is available in major liquor stores including Columbus Ave Wine & Spirits, Cabrini Wine & Spirits, Ambassador Wines & Spirits in NYC. Get the 750ml bottle of Upstate for $19.99. What are your thoughts on this apple-distilled vodka? Are you open to trying an alternative to potato and grain vodka? We’re taking a short break from NYFW to celebrate another of our loves – delicious snacks. 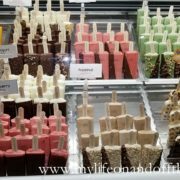 We were recently introduced to the Popbar, a delightful snack bar that offers all natural, handcrafted, customizable gelato on a stick. 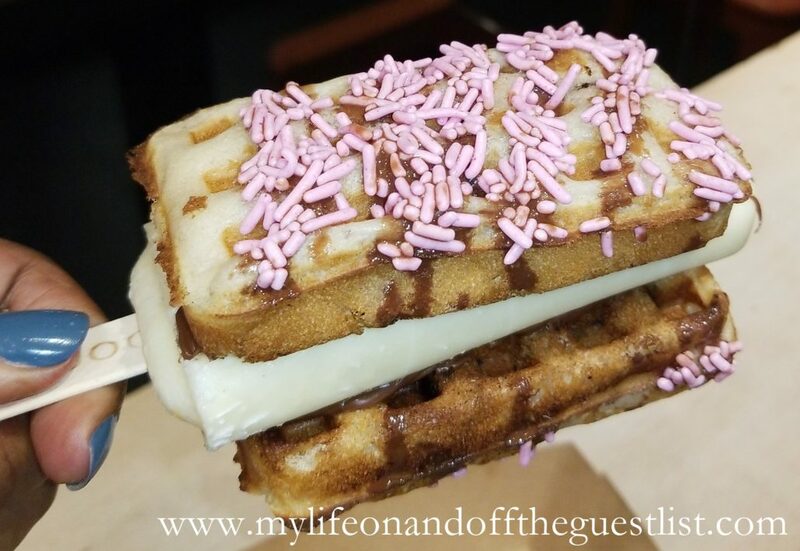 As if the delicious idea of authentic Italian gelato, sorbetto, and yogurts on a stick, weren’t enough, they came out with an even more delicious snack, the WafflePop. A simultaneously warm and cold treat made with the variety of gelato, sorbetto, or yogurt popsicles Popbar has available. 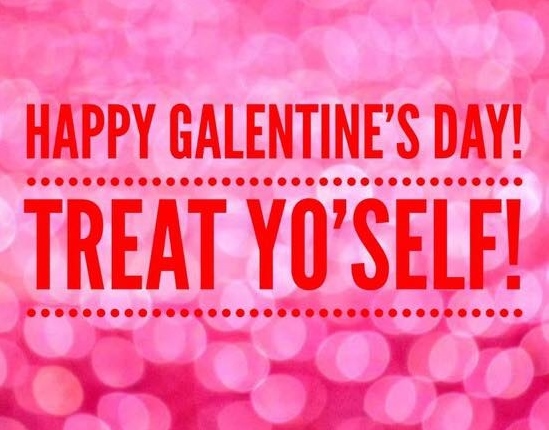 If you’re thinking of a fun thing to do for Galentine’s Day with friends, deepening your bond over your mutual sweet tooth at Popbar is a must. 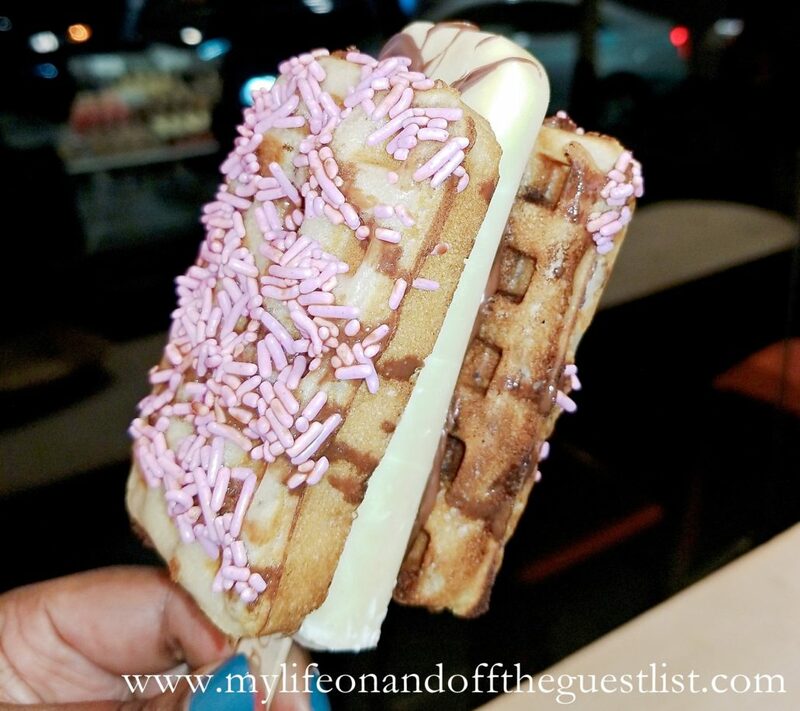 If you are looking for a sweet treat on Valentine’s Day, we recommend visiting the Popbar with your sweetheart. Whether you’re enjoying a romantic stroll or killing time before or after your romantic dinner, this sweet treat will not disappoint. In fact, we know you will also love another Popbar offering, their delicious gelatoShakes. This innovative and decadent frozen drink is a twist on the classic milkshake. 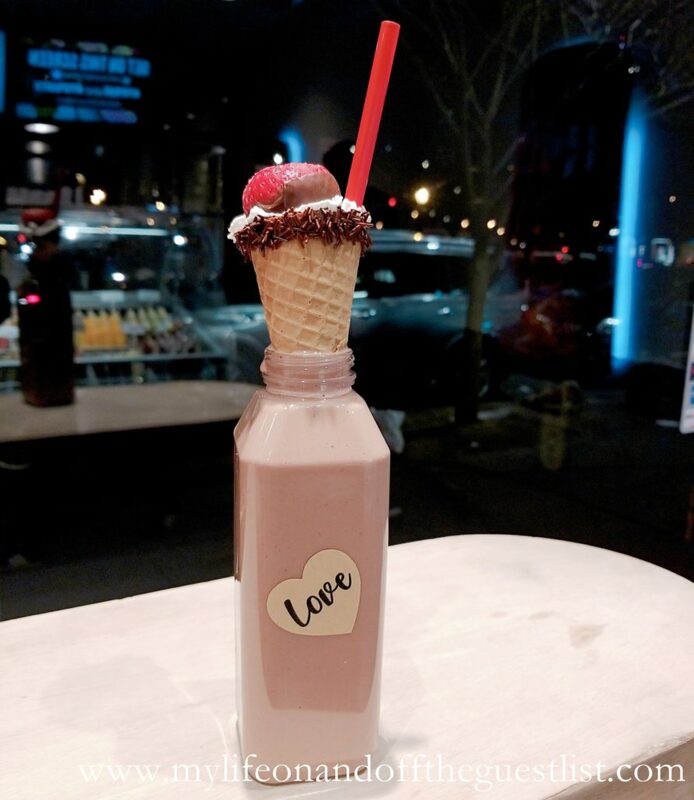 This delicious 16oz bottle of yum is served in a milk-jug style cup with a chocolate-dipped waffle cone overflowing with whipped cream. Yes, it is as incredibly delicious as it looks. The gelatoShake is made with 100% all natural ingredients. It is available in six delicious flavors including green tea, strawberry, vanilla caramel, coffee, chocolate, and vanilla. As with Popbar treats, the gelatoShake is handcrafted and made to your desire. It is the perfect way to enjoy a lot of love…..deliciously! To experience the Popbar and all the decadence it has to offer, head over to the West Village at 5 Carmine St. (@ 6th Ave.). Tucked away around the corner of Madison Avenue on 86th Street is a little bit of Paris. 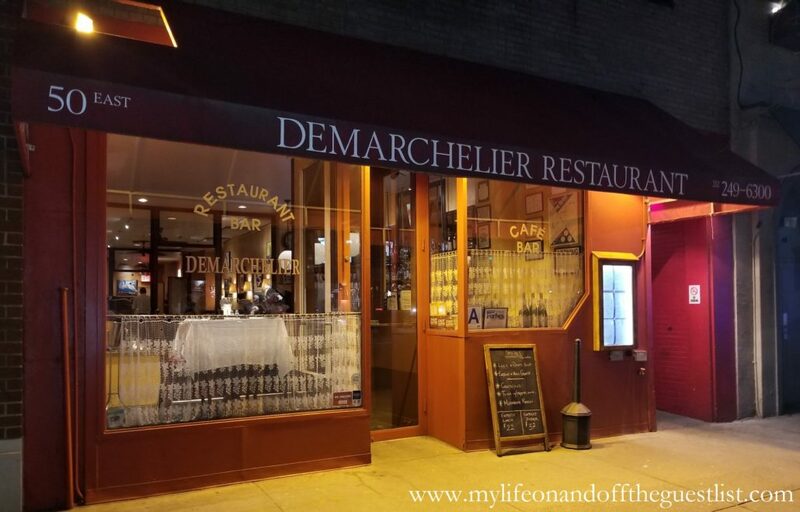 Even if you weren’t looking for it, you can’t miss the red awning and the white curtains that draw you into the warm and inviting bistro, Demarchelier French Bistro. 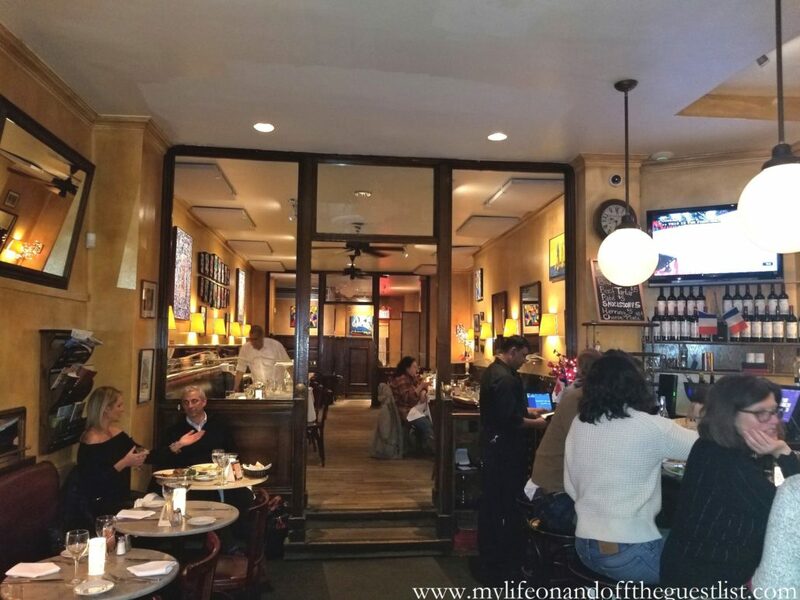 Since its opening in 1978, the family-owned and operated restaurant has brought authentic French flair to the Upper East Side. Patrick Demarchelier. 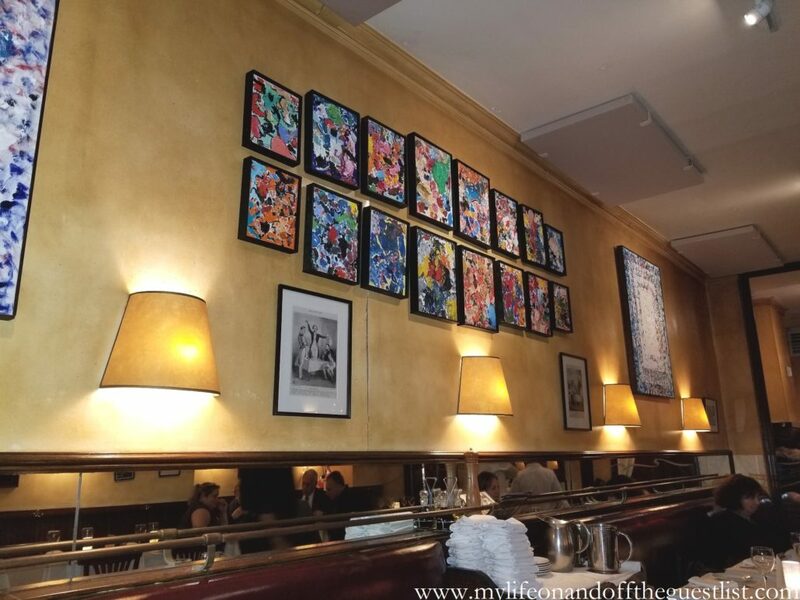 With that said, it is no wonder that the walls are filled with colorful original abstract and figure paintings by Eric Demarchelier. They’re all for sale should you wish to take home something quite special with your leftovers. CHRIS: Unlike a lot of so-called French establishments that either offer Americanized versions of French meals or experimental fusions with French inspirations, this place offers up the hearty traditional dishes like bouillabaisse, duck confit, coq au vin, Moules Mariniere, quiche, and escargot. It’s also good to note that many of the meat, poultry, and vegetables are organic and sourced from nearby farms. 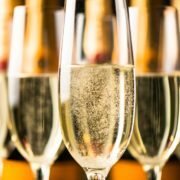 There’s also a prix-fix menu paired with a glass of wine or sparkling French cider as well as a daily special. While we wished our stomachs would expand to try the whole of the menu, here were our picks for the night. 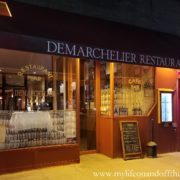 GLASGOW: It was an amazing pleasure to see so many authentic French dishes available at one restaurant in both the entree and dessert menus. We couldn’t remember the last time we saw Pot au feu and Cassoulet (the latter is only available on Thursdays) on a dinner menu. Dessert-wise, both tarte Tatin and Crepes Suzette have been equally elusive on menus as well. GLASGOW: I love pea flower so this libation immediately caught my eye. This cocktail was very fresh and heavy on lemon juice. It may not look like it but the lemon juice really comes through in the Purple Blossom. 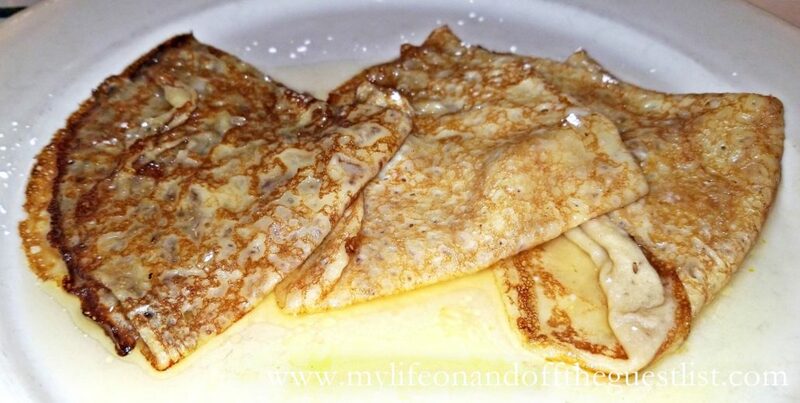 There is a very light dash of simple syrup, so if you’re expecting a sweet drink, this isn’t it. Fans of gin cocktails, this is a must just to experience the Empress 1908 Indigo Gin. CHRIS: I’ve been on a mule kick lately (pun absolutely intended) and have been trying out all the different iterations of the Moscow Mule. I was skeptical about this one as I am not a fan of grapefruit. Surprisingly, it was not a bitter and tart drink. Made with Deep Eddy Grapefruit vodka, fresh lime juice, and ginger beer with a sprig of rosemary, this refreshingly simple concoction went down easy. The rosemary added a lasting aroma that perfectly accented each sip. GLASGOW: I swear my color coordinating cocktails were not planned. I selected this cocktail because French 75 is one of my all time favorites and I wanted to see what how different champagne (as in the French 75) and sparkling wine (as in the Empress 75) would make the two. I must say it is very different. The dry sparkling wine is a noticeable difference but I still enjoyed the Empress 75 very much. 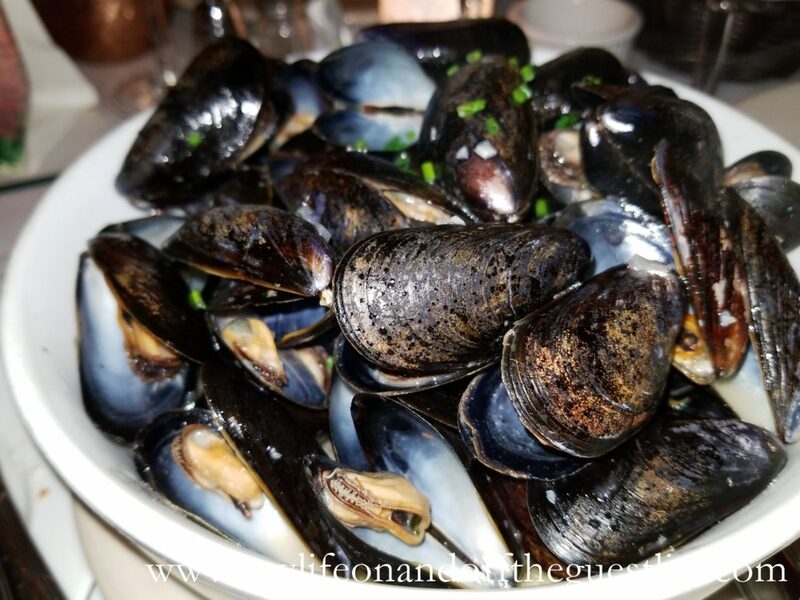 GLASGOW: Diana Ross has an old song where the chorus starts with “I want muscles”; granted she’s talking about muscles on a man, not mussels but that song nevertheless describes our obsession with mussels. I want mussels and I want it all the time. The sauce was heavenly and you better believe we had to refrain from lifting the bowl to our mouth and drinking the incredible sauce. Thank goodness for the bread. CHRIS: Not at all what I expected, but in a very good way. I was thinking I’d get the typical mixed greens with a few pieces of crab sprinkled in and drizzled with a light dressing. 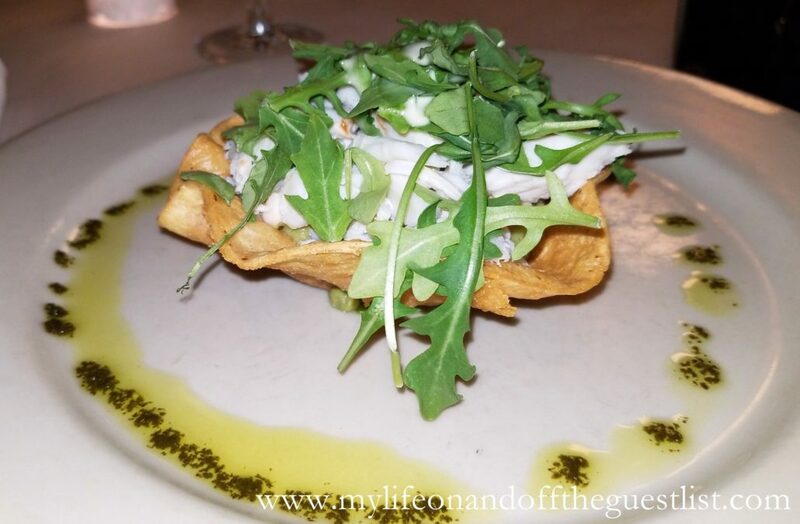 Instead, what is set before me is a decent sized tortilla bowl in the middle of a plate heaping with crab meat on top of fresh guacamole and topped with arugula. I love crab and this was a lot of crab. While the layered concept makes for a clean aesthetic presentation, it is much better when thoroughly mixed in the edible bowl. CHRIS: I like duck confit but it’s always a gamble because it can be hard to cook it properly. While deceivingly simple, it takes some time to preserve the duck in its own fat. However, Demarchelier’s duck confit is nothing short of amazing. 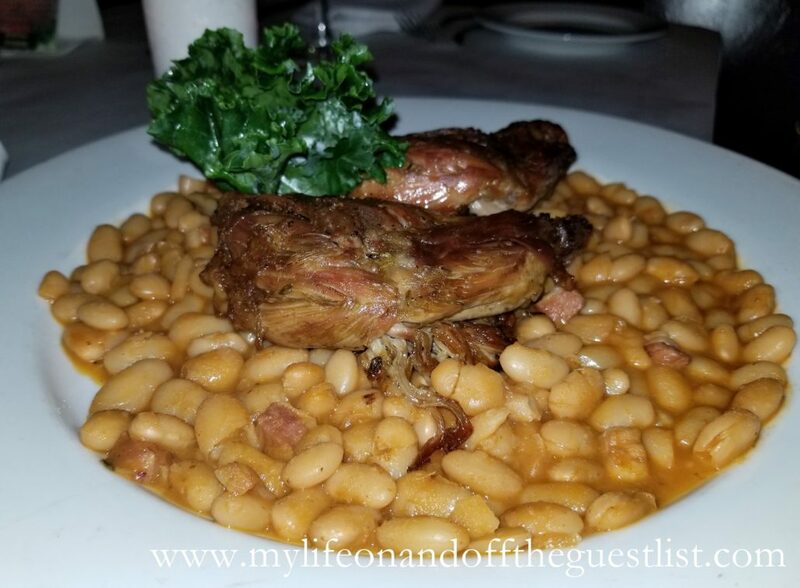 The two juicy duck legs were served on a bed of white beans stew. This traditional French dish has ample flavor and melt-off-the-bones goodness. I was baffled when the waiter put a steak knife by me since I can peel the meat off with barely a tug from my fork. The beans were just right – not mushy with just a good amount of firmness. GLASGOW: I don’t know if there’s anything that beats a great peppercorn steak from a French restaurant. If there is, I haven’t tried it yet. My medium-well steak (pictured sans peppercorn sauce) was very tender with a juicy interior and a subtle char. The pepper sauce was mild, not very peppery – perfect for those who are not used to a spice heavy palate like ours. 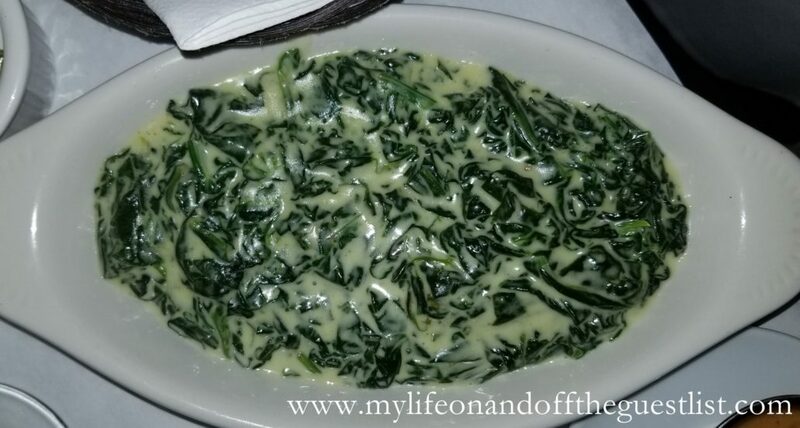 The cream spinach was flavorful, very creamy but light on the thickness of the cream. 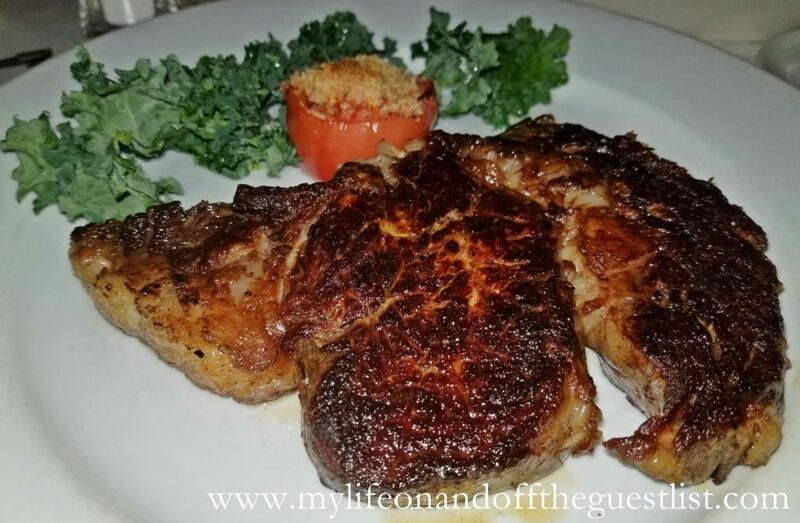 We personally love a thicker sauce but that didn’t take away from how delicious this was. Those on a low sodium diet will appreciate the light hand of salt. CHRIS: This was the perfect ending to an already gastronomically satisfying night. 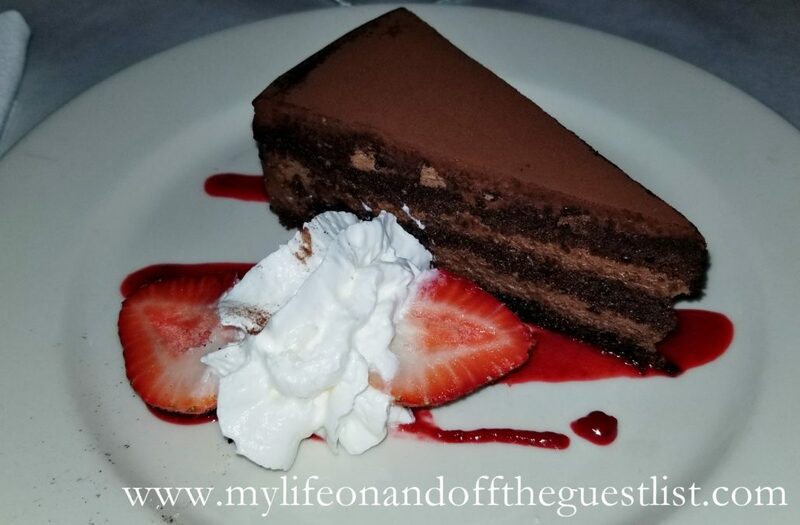 The cake part is perfectly moist and soft while the mousse layered in between is light, fluffy, and wonderfully chocolaty. Sitting atop a plate of strawberry sauce with a dollop of whipped cream, this cake was sweet and heavenly. A wise choice for a chocolate lover who didn’t want to go over the edge of full. GLASGOW: Thank goodness for Demarchelier. You hardly see this indulgent dessert on menus anymore. We greatly appreciated the restaurant for bringing it back into our lives. We highly recommend being extra nice to your server so he will giddily douse your crepe in a waterfall of Grand Marnier before it’s engulfed in the flames. Every bite sinfully divine, especially as we had more than enough Grand Marnier left over to make this dessert even more intoxicating. Demarchelier is a neighborhood fixture for a reason, you can clearly see why in the photos above. 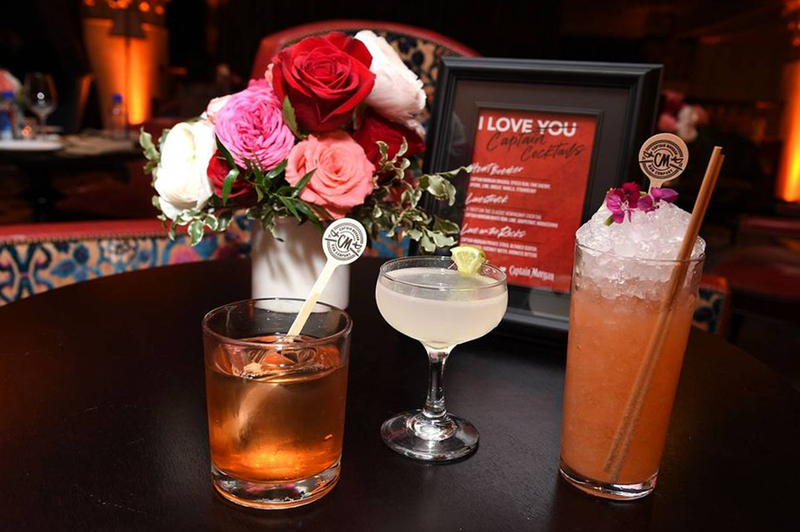 Whether you’re in the area for a quick bite or a romantic local for dinner, we recommend heading to 50 East 86th Street to sate your palate.